I’m trying to get back into this, because there are so many excellent authors putting out little snippets over the weekend and I miss them. Be sure to check out the full weekend writing warrior list, too! 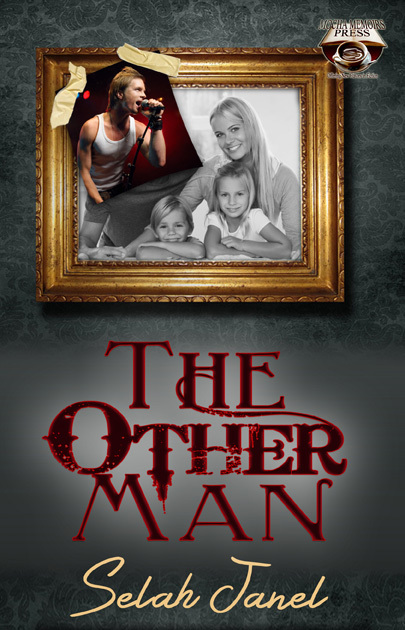 Today’s sentences come from one of my older releases, the literary drama The Other Man. Andrew’s disenchanted with how his life has turned out and overwhelmed by his young family, yet it seems far easier to blame it all on someone who doesn’t even know he exists…his wife’s favorite singer. Still, the thought that he was kissing her with that voice in the background made Andrew squirm. Xander Jackson. He was the bane of Andrew’s existence and the singer didn’t even know it. At times Andrew would catch his wife staring into space with a dreamy smile and he always knew the look was not because of him. She hadn’t been a groupie or met her favorite of favorites; she’d never even been to one of Jackson’s shows. Andrew knew very well that he was the only one she’d ever given herself to. Perhaps it was the feeling that his claim, his territory was being threatened. Maybe seeing the perfect face with the smug pouting smile reminded Andrew of how unsuccessful he was in comparison. Perhaps the sultry croon easily pointed out how un-exciting he was. Perhaps the guitar was always ready to show him just what he hadn’t done yet in his short life. This jealousy causes things to unravel fast during an eventful dinner conversation. Curious? Feel free to check out the e-book! All Andrew wanted was the typical American dream: a good career, a nice house, and a loving family. Instead, he has a dead-end job, a cramped apartment, and children who remind him of creatures out of a sci-fi movie. He’s also well aware that he’s not the only man who inhabits his wife’s thoughts and daily life. How can he put up a fight when he’s reminded of the competition every time Bethany turns on the CD player? After one eventful evening meal when expectations, disappointments, and secrets collide, life will never be the same. I don’t know if I’ve mentioned this before but I love the premise for this story! Usually the third wheel in a relationship is physically present right there with the other characters, but this guy isn’t, and I like that twist. Sure am looking forward to seeing what happens at that dinner! Interesting premise and I thought you captured his mood very well in the snippet. Without ever using the world ‘jealous’, you showed us that this is exactly what he is. Nice snippet. Gret snippet and showing us how he feels.